I think this baby is making me start my nesting behavior early. I am not due until August, (please oh please make it July! 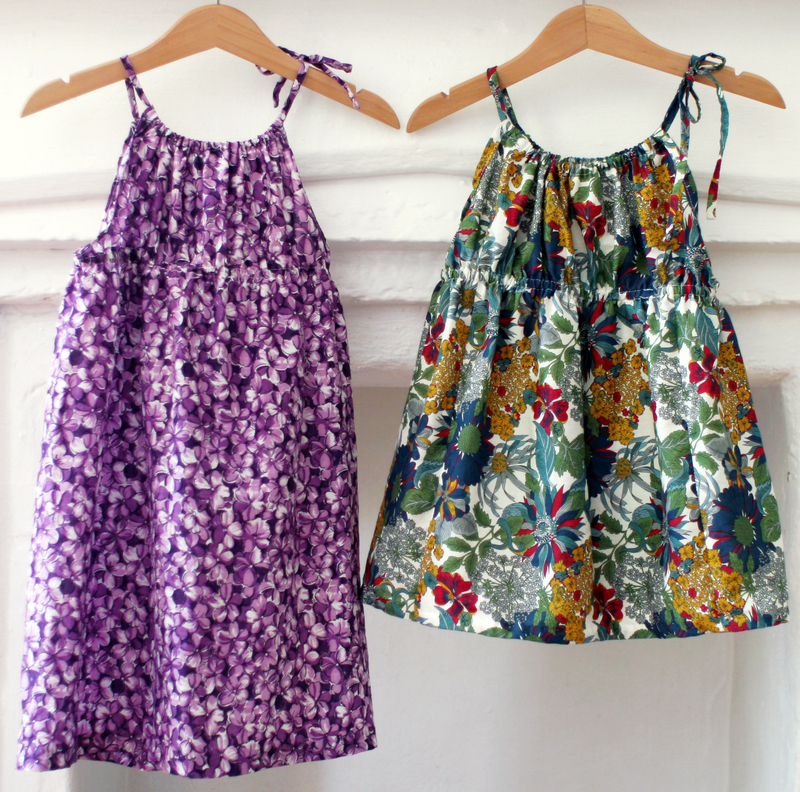 ), but I frantically spent a week making skirts and dresses for Ada and Josie before we went on vacation last month. I really wanted to make a dress out of the little bit of Liberty print I’d found on sale at Brooklyn General, and with some creative piecing managed enough for Josie’s dress. Ada’s dress is made from a a vintage purple violet print that I still have yards of after these projects (amongst others): 1, 2, 3. (That violet print was $10 well spent!) 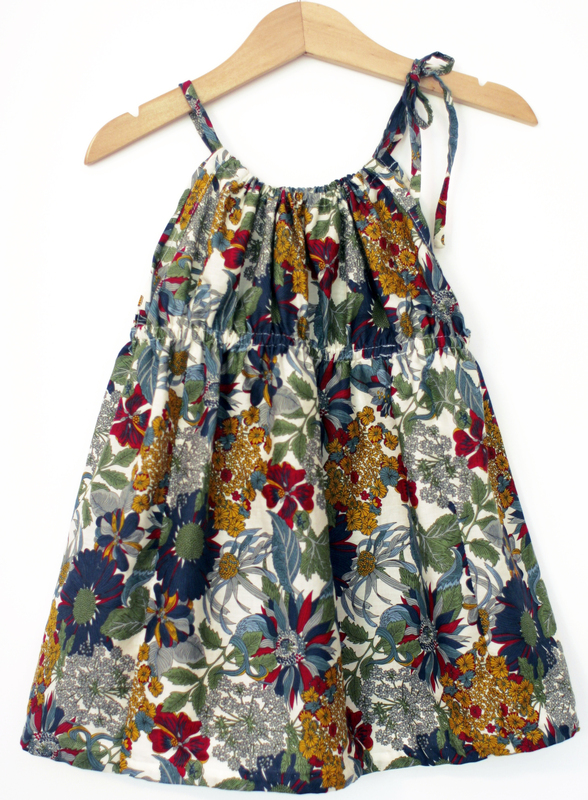 The design for this sundress was inspired by this beautiful Makie version from Acorn Toys in Brooklyn. 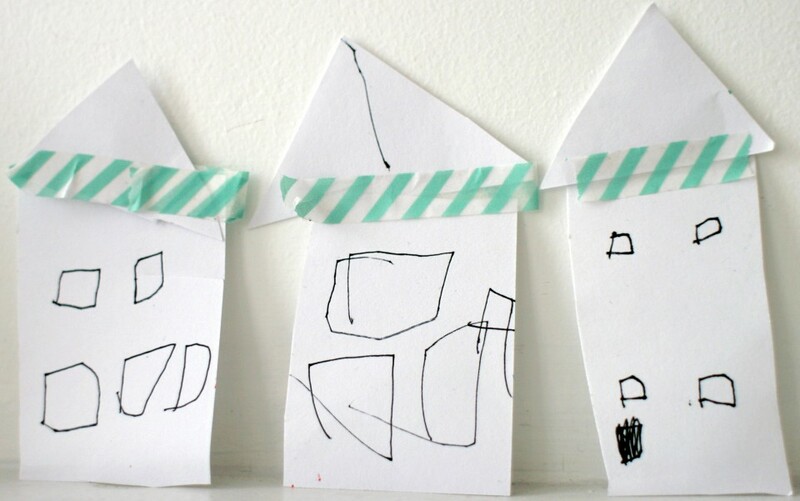 (Feel free to peak at my Pinterest boards for more children’s clothing inspiration). I played around with this pattern from Fabshophop.com for a simple pillow case dress and added an elastic gather around the chest. I love these kind of easy dresses. They are great as long dresses for little girls and can become a top as they get taller. Hooray for summer dresses!